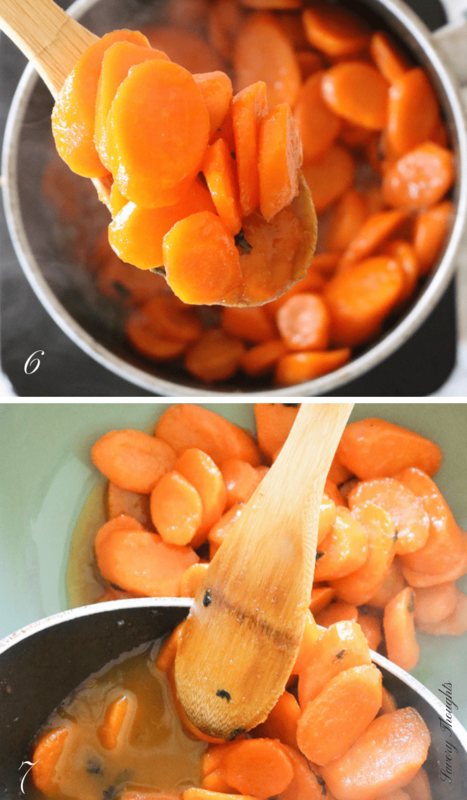 Glazed carrots are an easy simple elegant side dish to prepare for any occasion. 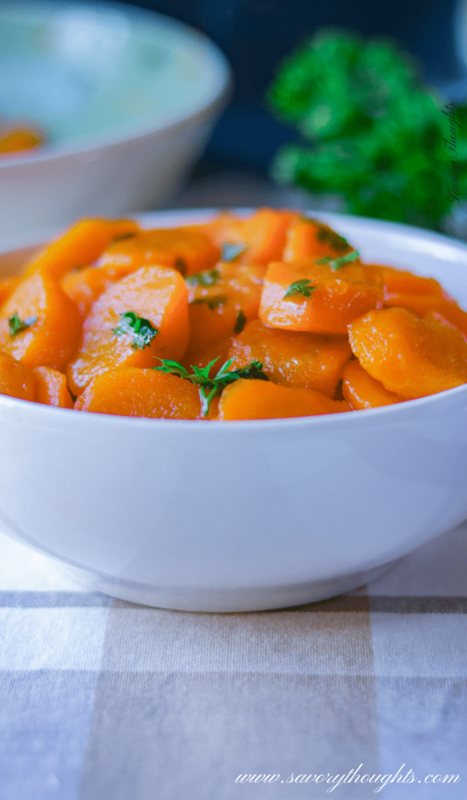 These carrots are simmered in a mixture of orange juice, brown sugar, salt, and butter. 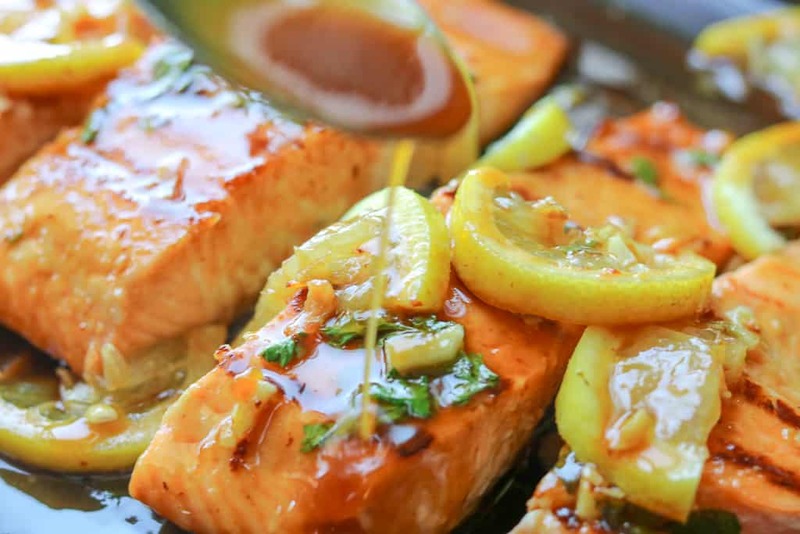 This inexpensive dish is perfect for any holiday or special occasion. Just like any other kids, my children love anything sweet, like my honey garlic salmon or the coconut macaroons. Therefore, these glazed carrots are never left untouched. On a busy night, this 15-minute side dish is often one of my go-to side dishes. Carrots are a staple in my refrigerator. They are the only vegetable I do not have to worry about using right away as they stay fresh for a long period of time. They are affordable and can be used to prepare a meal in so many ways. I’ve used them to make pikliz, and of course to make glazed carrots. Why this glazed carrots recipe work? The carrots are tender and flavorful. Takes less than 30 minutes to prepare. It is also gluten-free as it does not contain any soy products or grains. How do you make glazed carrots? First, you will need to gather your ingredients. You will need 1 lb. 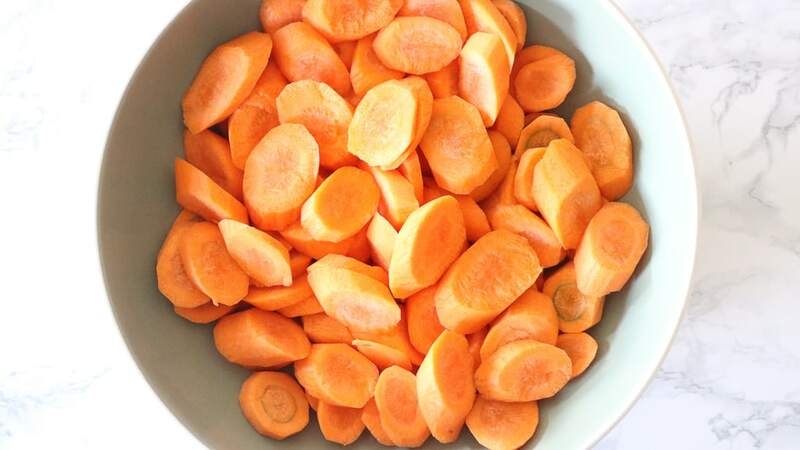 carrots (about six carrots), ¼ cup light brown sugar, ¼ orange juice, ¼ tsp. kosher salt, 4 tbsp. butter, 1 tbsp. fresh parsley, and 1 ½ cup water to cook the carrots. 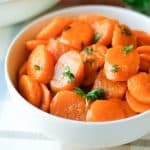 How to cook carrots healthy? In a medium saucepan add the water and carrots and cook until fork through, about 10 minutes. Drain and set aside in a bowl. 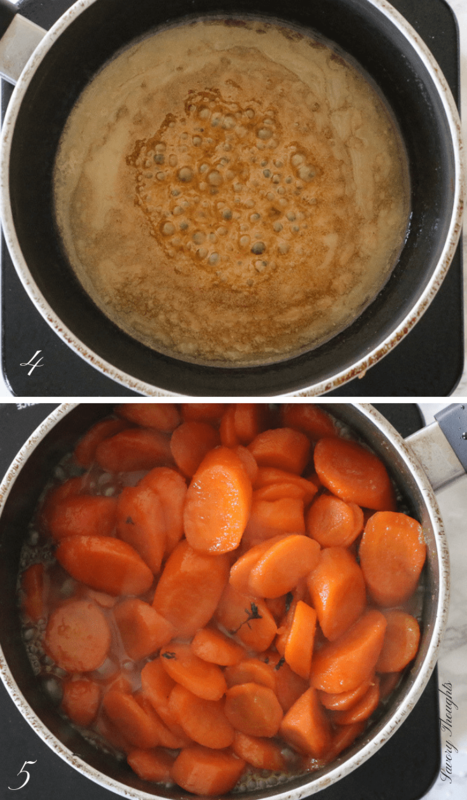 In the same saucepan, melt the butter and brown sugar on medium heat, then add the salt and orange juice and carrots. Cook for 5 minutes on medium-low heat. 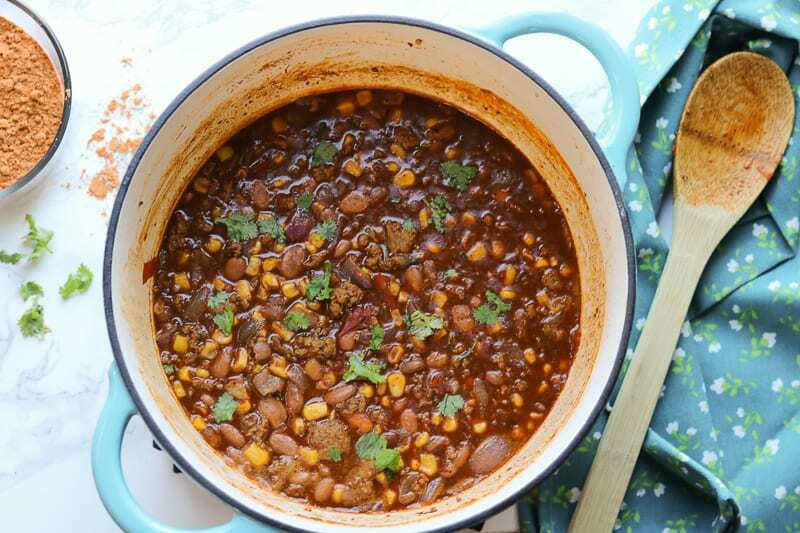 Transfer to a large bowl and serve warm as a side dish. Carrots are rooted vegetables which makes them gluten-free. The root of the carrots is rich in alpha and beta-carotene. They are filled with vitamin k and vitamin b6. They are used in many cuisines. 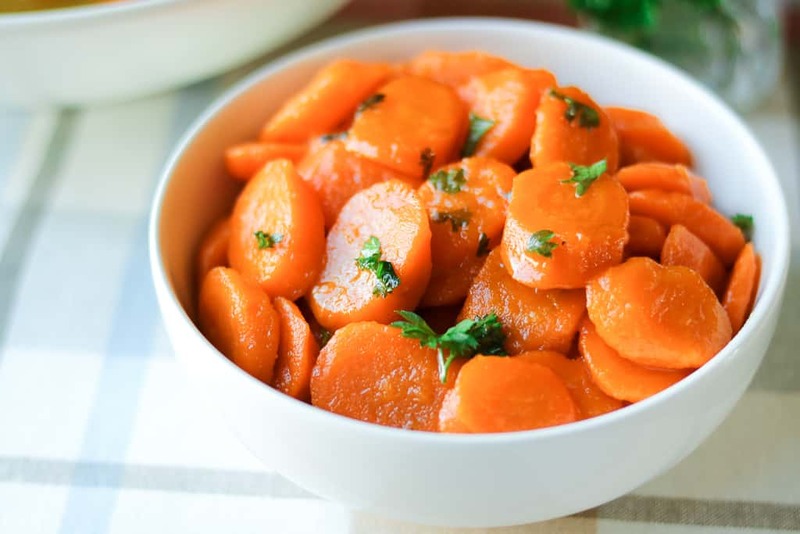 carrots can be stored in the refrigerator for several months or in cool places. They make great snacks and are perfect in salads too! You may serve these glazed carrots alongside any dish. They make a great side dish for busy nights. In the same saucepan, melt the butter and brown sugar on medium heat. Then add the salt and orange juice, parsley and carrots. Cook for 5 minutes on medium-low heat. 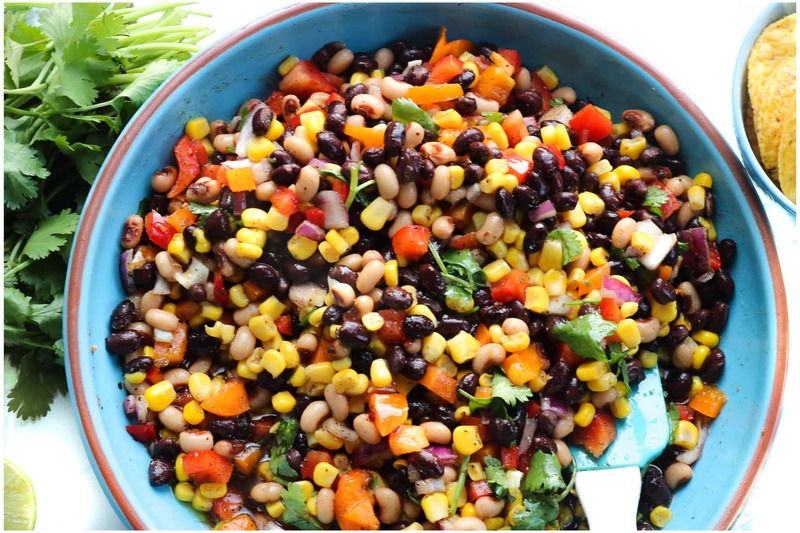 Transfer to a large bowl and serve warm as a side dish. These carrots look so good. I like how you added the parsley for a pop of color. Orange juice is a great addition too. I’ll have to try it! Thank you. You just need a little bit of orange juice. These look amazing. I have to admit, I love anything sweet! I will have to make these on my dinner recipe list! And, I know my family will love these! I make some similar to this but without the orange juice. I need to try it with! 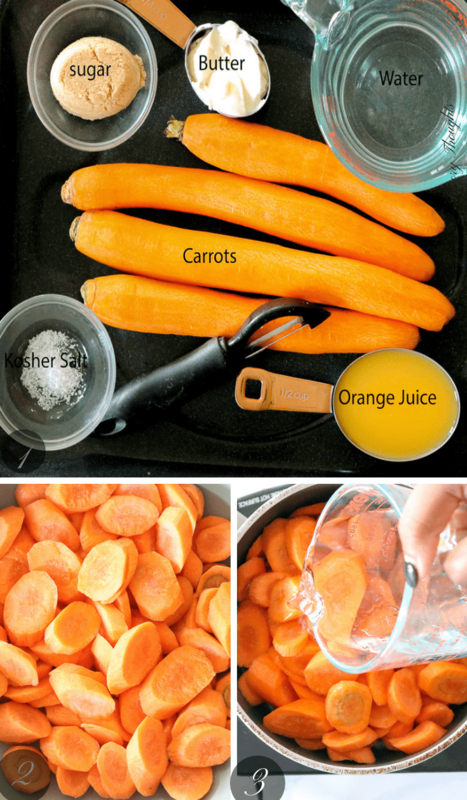 These carrots look so yummy, my kids love carrots so I will deifnitely have to try these for them! 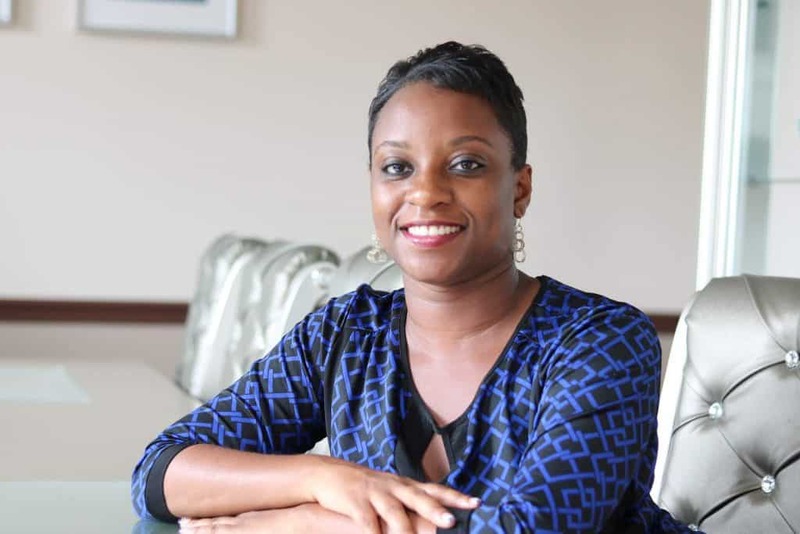 Thank you, Sheree. Definitely, kid approved! Never made glazed carrots before. These look super good I would just snack on them nonstop. They do look addictive too. They are very addictive. I recommend you try them! Oooh, the addition of orange juice is new to me, and I’ll def need to try soon! Yes! it definitely enhances the flavor. Yummy! I love glazed carrots, they are such a nice addition to any meal. And I like how you added orange juice too! These glazed carrots look so tasty. I can’t wait to test out this recipe. I grew up having glazed carrots for holidays, but have yet to make them myself. Can’t wait to try these! These look so delicious and so simple to make too! Definitely have to try. These would be such a perfect side for family dinners. Thank you! Love glazed carrots…. my family not so much (they only like raw carrots) which is good because more for me!